Want to increase the depth as well as the colour of your head lights and tail lights? At I’m Wrapped Vinyl Graphics, we offer high-quality head light and tail light tint solutions for you to choose from, helping you customise your vehicle to suit your preferences. Whether you’re looking to get tinted tail lights or you’re interested in a black headlight tint, our team can assist in achieving the exact look you desire. When you come to I’m Wrapped Vinyl Graphics for a head light or tail light tint in Melbourne, you can choose from a wide range of options. Our head light and tail light tint is available in matte, gloss or clear, allowing you to select a style that suits the look you want for your vehicle. 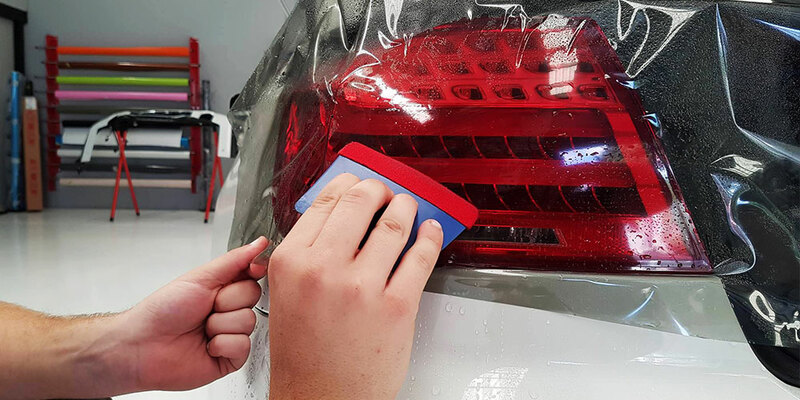 We can also provide protection films that help to protect your head lights and tail lights. Our protective film application greatly minimises the risk of scratches, UV ray damage, stone chips and plastic oxidisation. For high-quality head light and tail light tint films that boast great clarity and durability as well as self-healing abilities, get in touch with I’m Wrapped Vinyl Graphics today. From a black headlight tint through to protective film for tail lights, we’re sure to have a suitable solution for your vehicle.